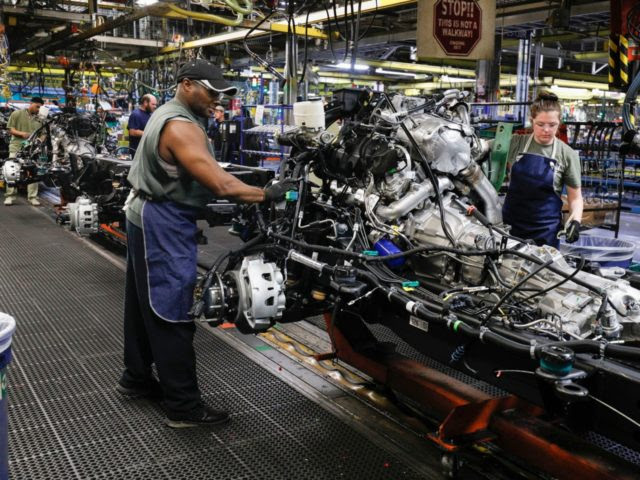 The president also expressed frustration that “talks” between General Motors and the United Auto Workers Union would begin in September or October. Trump began attacking General Motors CEO Mary Barra on Sunday for closing down the plant at a time when the American economy was booming. His posts on Twitter earned a phone call from Barra over the weekend. The Lordstown, Ohio plant employed about 1,500 American workers and produced the Chevrolet Cruze before it closed. General Motors announced plans in November 2018 to lay off up to 14,700 workers in North America. In June, General Motors announced that the revamped Chevrolet Blazer would be produced in Mexico, as the company employs about 15,000 people there. In December, they announced a new plant opening up in China. Barra and Trump initially had a good relationship as she joined him for meetings and roundtables promoting the U.S. auto industry. But GM’s continued layoffs raised tensions between the president and the CEO of General Motors, who was once considered a possible Vice President candidate by failed presidential candidate Hillary Clinton.